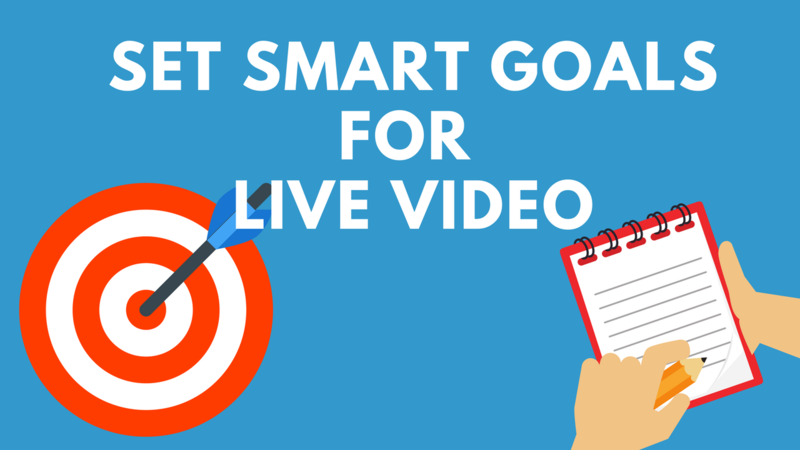 If you’re not accustomed to doing live video, or video at all, it’s something that may not even occur to you. Just like having the right sound and lighting equipment, what you wear is an important part of ensuring a successful broadcast. Think of your wardrobe as part of your pre-production checklist. Why is this important? We all want to look good on camera. But, what you wear is also about optimizing the quality of your video. For example, wearing fabrics that reflect light can jeopardize the visual quality of your video, and wearing large, clunky jewelry can interfere with sound quality. 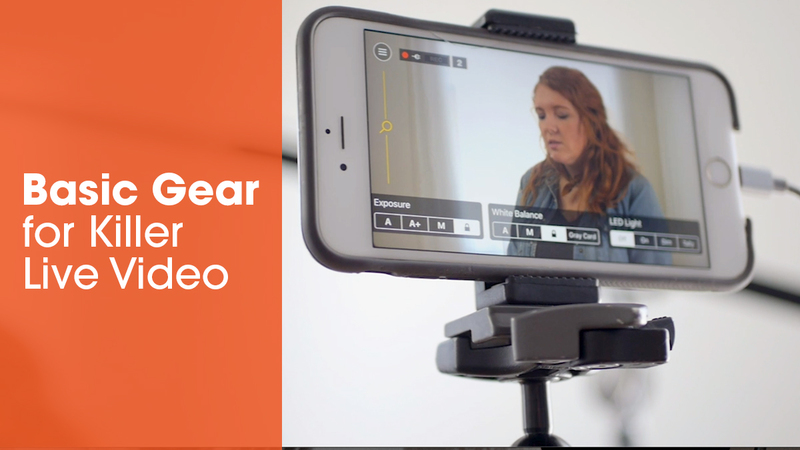 You can look good, feel confident and optimize your wardrobe for high-quality live video. 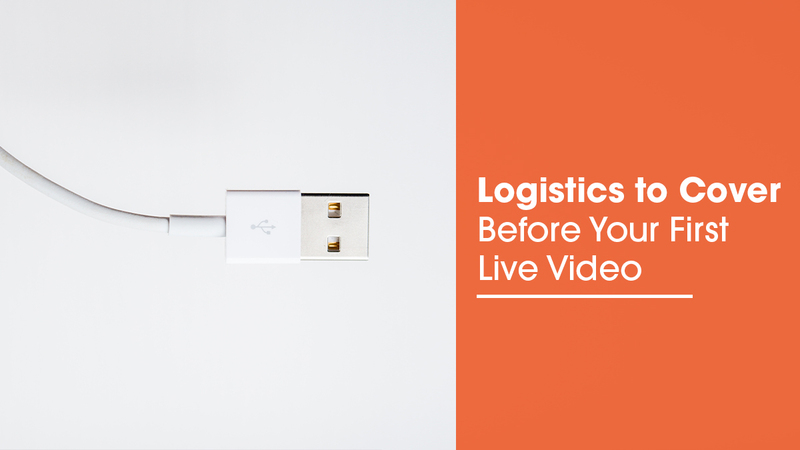 Your first live video can be a bit like that. Overthinking and fear of failure can prevent you from taking that first step. At some point, you just have to begin. The best way to overcome the uncertainty is with a little preparation and planning. Who is this for: Anyone that owns a business or is building a personal brand. This isn’t just for “new” businesses but your established businesses could benefit too. From Facebook: A fix has been deployed to production. If you are still experiencing issues with this they will clear up shortly. From Facebook: We are aware of ongoing issues with the JS SDK failing to load for sites using RequireJS. We are actively working on a fix and expect it to get pushed shortly. I can't count the number of times I've complained about Time Warner Cable (now Spectrum) or been at a friends house as they complain about their internet. I've even gone as far as to turn off the WiFi on my phone while lying in bed because my cellular LTE connection is faster than my home intenet. Turns out my problems weren't due to TWC - there were WiFi deadspots in our house. 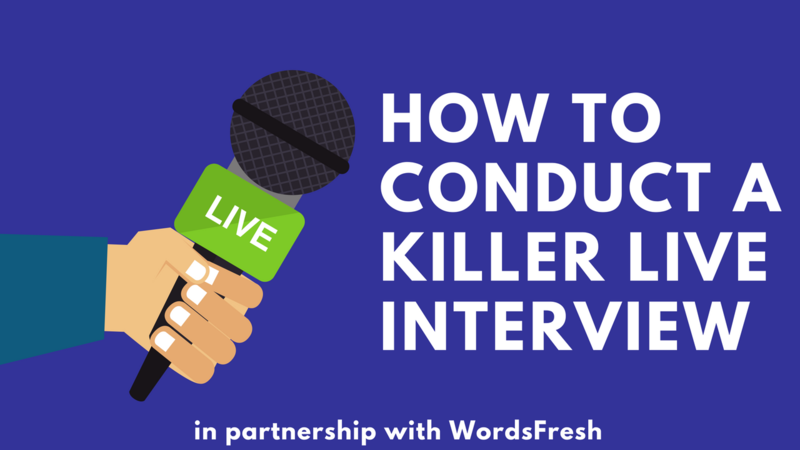 Going live for the first time doesn't have to be intimidating. You can prep in three easy steps. Get rid of your computer! Introducing the Switcher Studio Referral Rewards Program!  This new program allows Switcher users to earn money by referring new users to the platform. 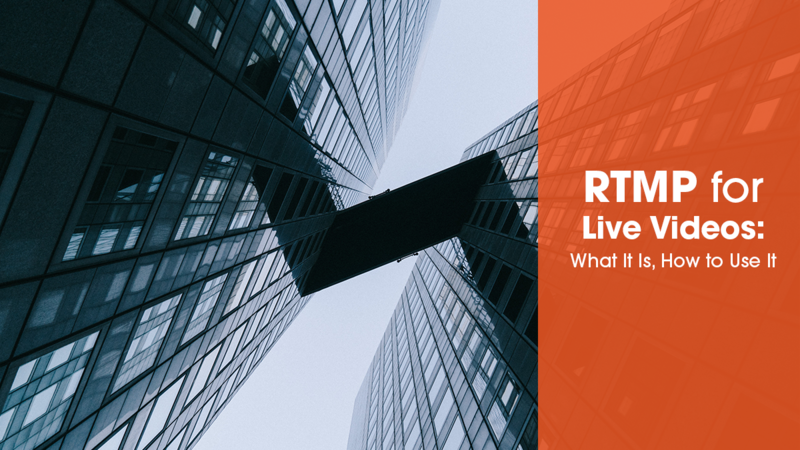 There are many ways to create graphics for your live broadcast. Lower-thirds add a professional appearance to your broadcasts. 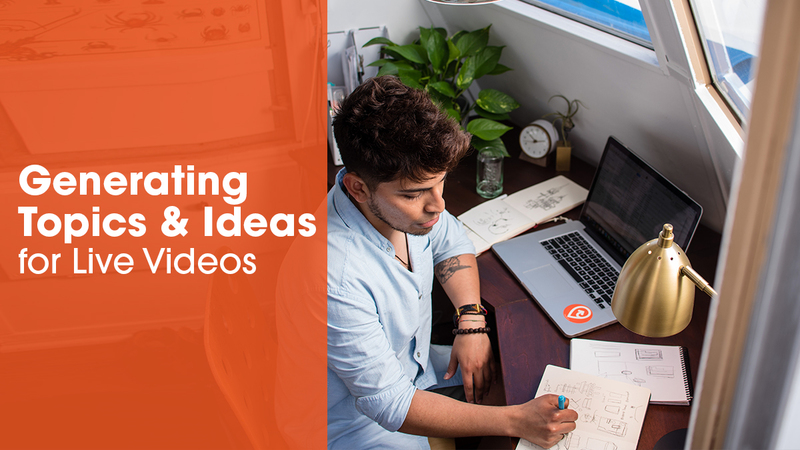 Logos allow you to brand yourself and your guests in your videos. 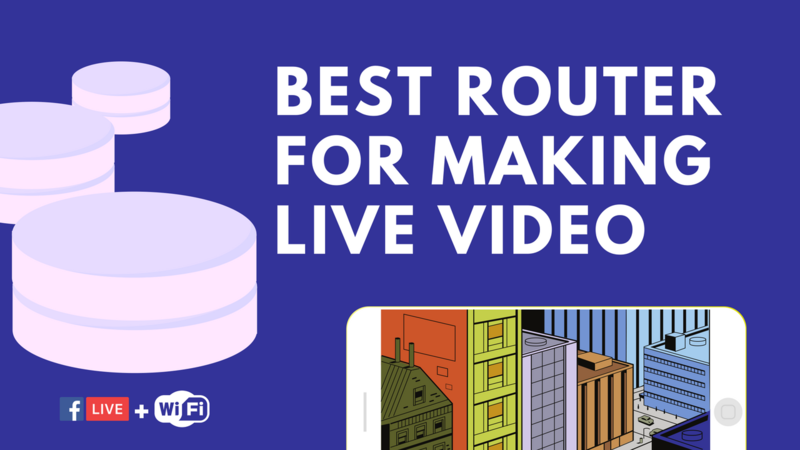 Using a combination of these help to take your live video to the next level. 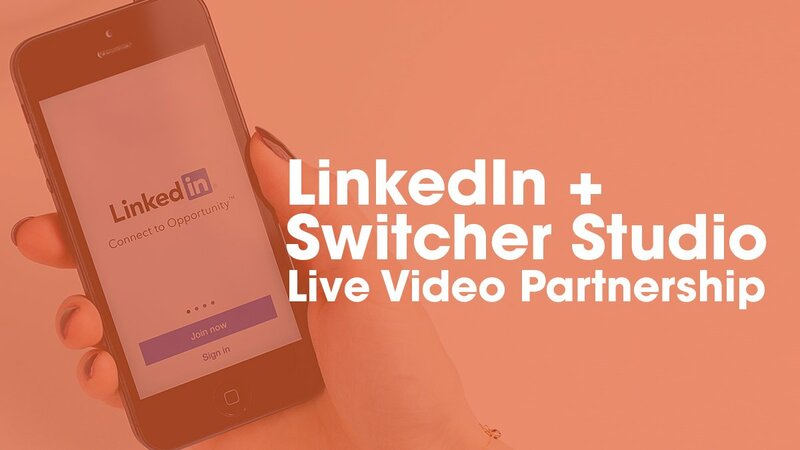 Louisville, KY, USA (August 17, 2017) - Makers of the original multi-camera streaming app, Switcher Studio, announced a new partnership with leading live video expert, marketing strategist, author and technologist Joel Comm, who will contribute to the company’s content and brand awareness campaign for its growing global footprint. Switcher Basic was first launched in 2014. 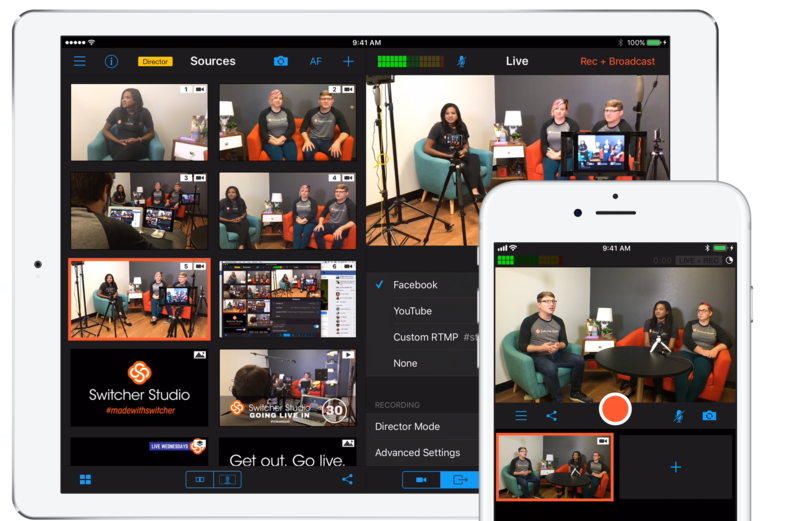 It is a free version of Switcher that allowed users to switch between four devices and stream live video in SD. The free version included a watermark on the video output which could be removed via an in-app purchase or in-app subsription. Most of our development resources have gone into new products like Switcher Studio and Switcher Go. As a result Switcher Basic has fallen behind and hasn't received updates in a while. Switcher Basic will be discontinued and removed from the App Store on October 1, 2017. The app will continue working after this date but you will not be able to reinstall the app from the App Store or restore in-app purchases. One of the most important goals as a content creator is to make a lasting impact on your viewers. Setting yourself apart helps your audience to see what differentiates you from others. For mobile video, I recommend size over function when it comes to tripods. Below are a few tripods we use in everyday productions that fit the niche of mobile journalism. Twitch.tv has been around for years, primarily as a streaming service for video game enthusiasts . You were able to log into the free service, search for a specific video game, and then watch ordinary people as they played games in real time . 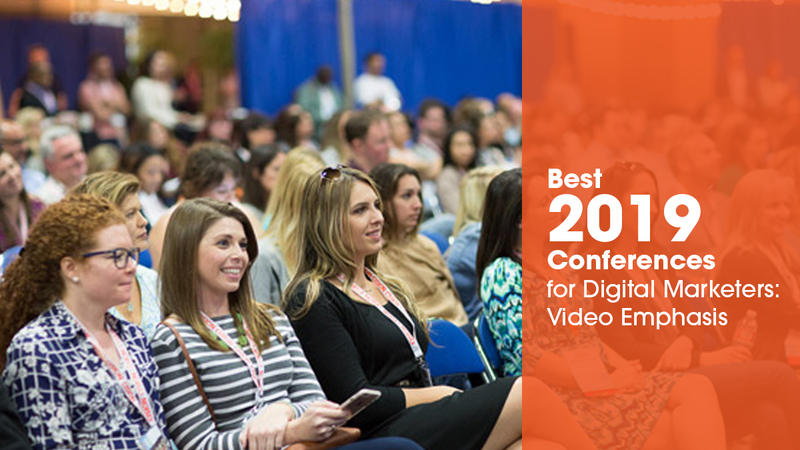 VidCon is an annual convention that caters to video content creators across all platforms. 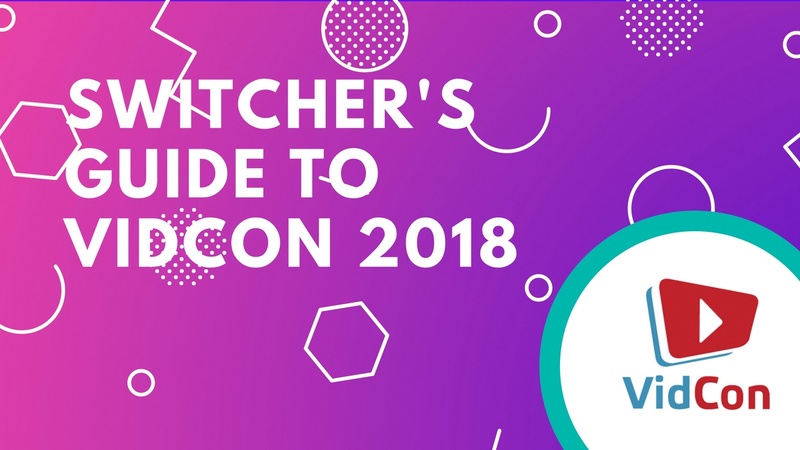 With YouTube leading the way in the content creation world for so long, many think of VidCon as a “YouTube convention”. While huge YouTube stars fill the halls and the panels of VidCon, this sentiment is not exactly accurate. Of all the video storage websites, YouTube has dominated the game for over a decade. Their platform has launched careers for users old and young. Many YouTube stars go on to become successful novelists, actors, and musicians. Families have gone from poverty to living comfortably thanks to YouTube’s Ad Sense revenue program . 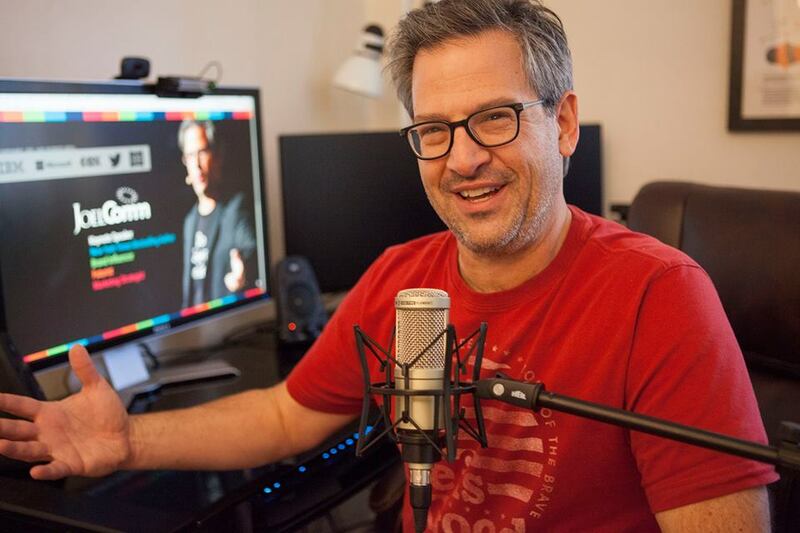 What Mic do I Choose for Live Mobile Video Productions? Audio can be the most confusing part of a video production. 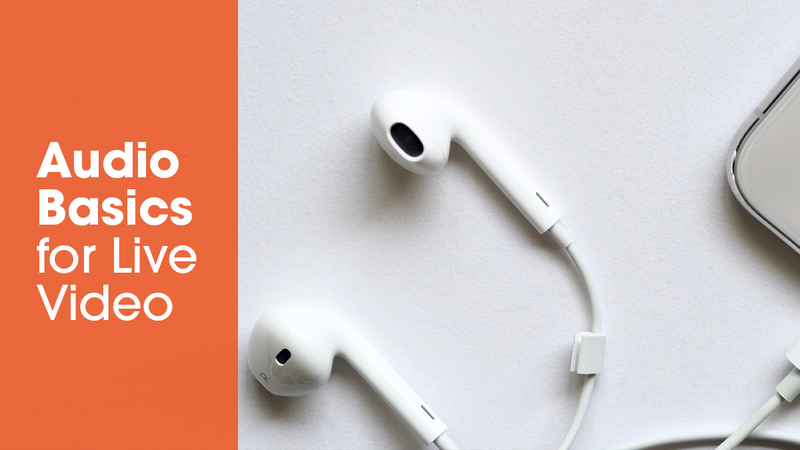 If your audio isn’t perfect, people will tune out. Here is a rundown of different types of mics you can use for your mobile video productions. 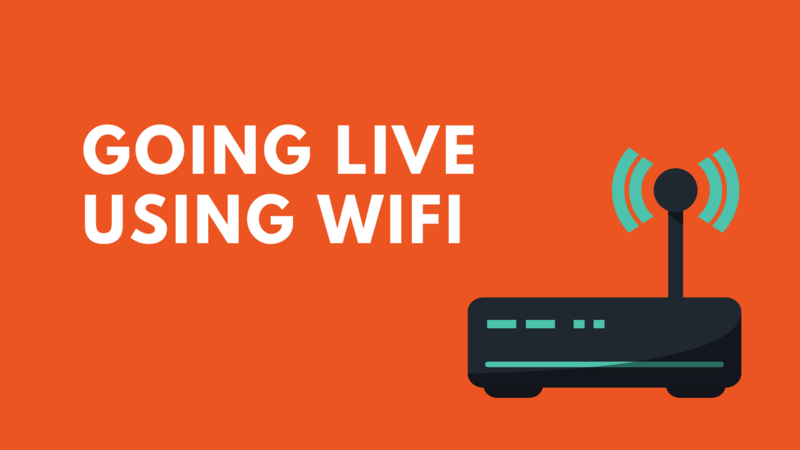 LiveU is a great tool for broadcasters that allows creators to broadcast from almost anywhere. 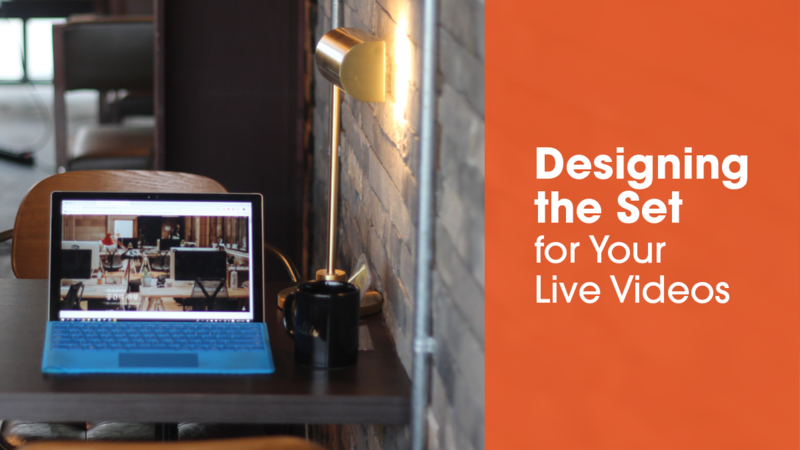 Paired with Switcher Studio, it is the ultimate portable live video solution available. People typically are used to seeing large setups for live video productions. 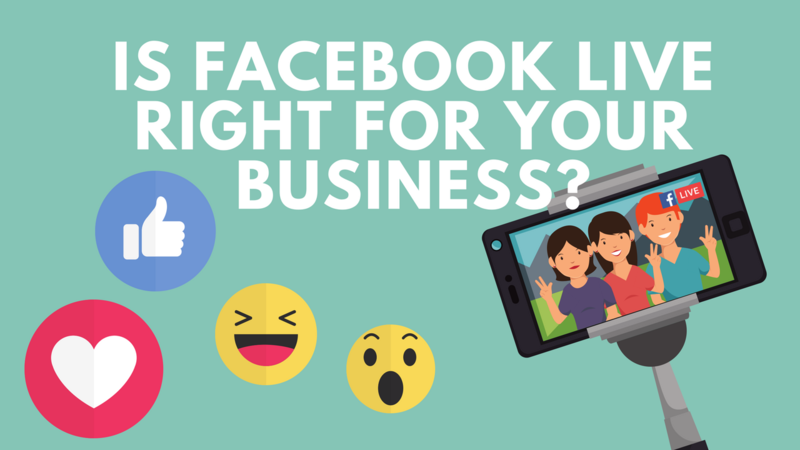 With Facebook Live becoming more prominent, I wanted to see how small I could make a Facebook Live setup- while still having good lighting, steady video and clear audio. 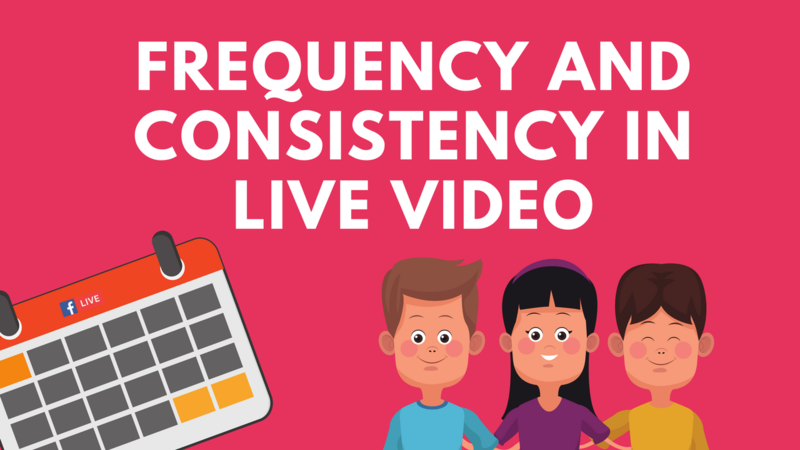 One of the best parts of live video is the ability to engage with your audience in realtime. Facebook and Periscope especially have put viewer comments front and center. Facebook even rolled out a private chat feature that allows viewers to have their own private conversation . But how do you use comments to your advantage? How can you ask your audience the “right” questions? It’s 2017 and we are still in the wild west of online video. 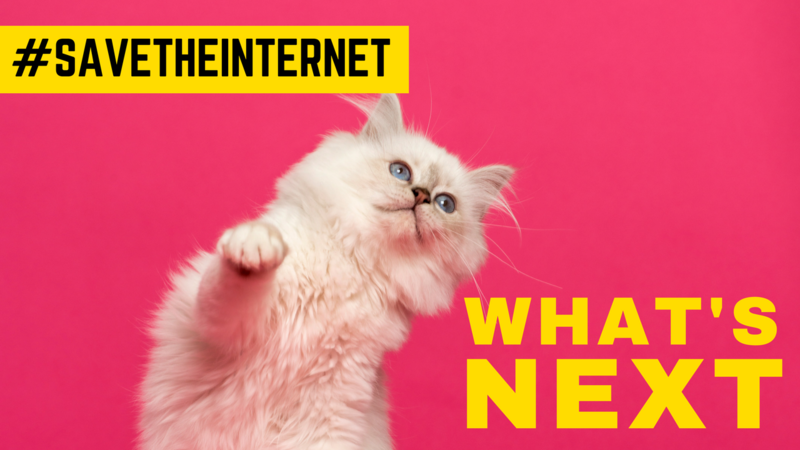 However, the space is starting to mature, and big players like YouTube and Facebook are implementing methods to become safer for everyone while working to lessen their own risk. 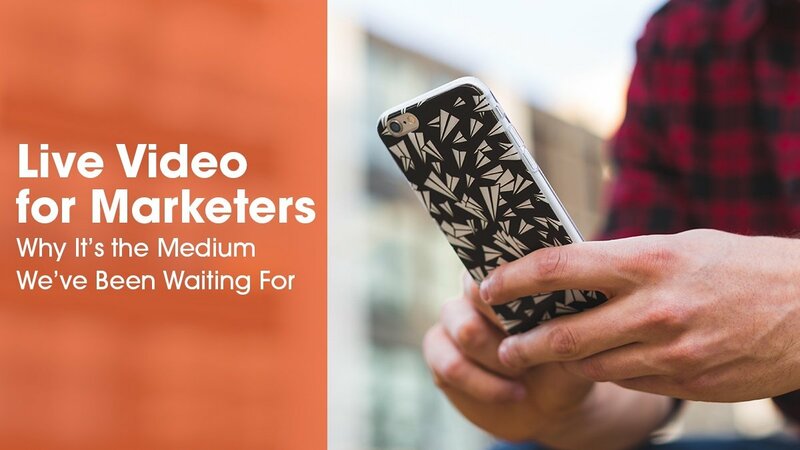 With the quality of smartphones’ video cameras improving each year, mobile video is on the rise . From feature films to live broadcasts to vlogs, videos created from mobile phones more widespread and are winning awards . 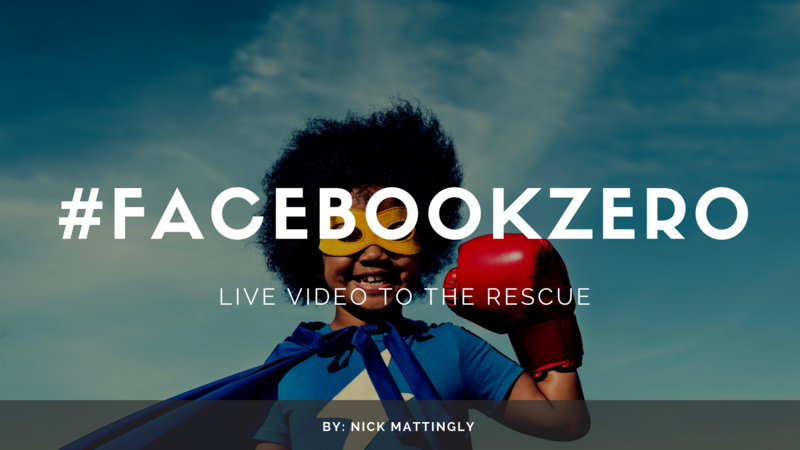 Facebook rolled out live video just over a year ago and has quickly grown to own the the phrase "go live". 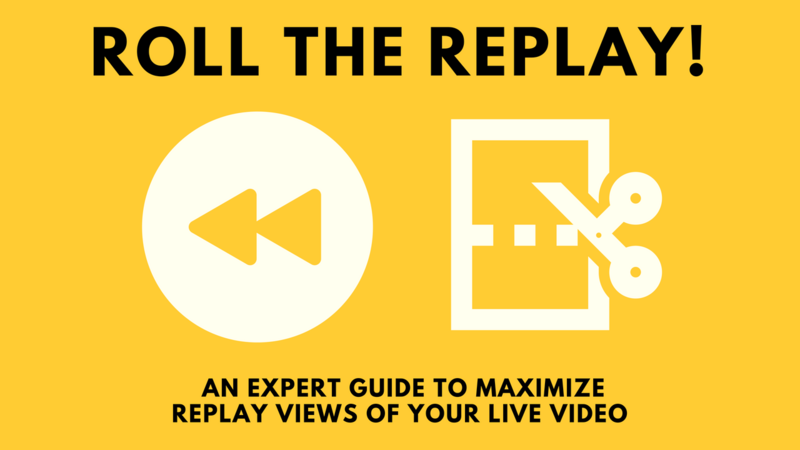 By going live you can improve your reach and interact with your viewers in realtime. This has encouraged an increasing number of users and businesses to go live more often. 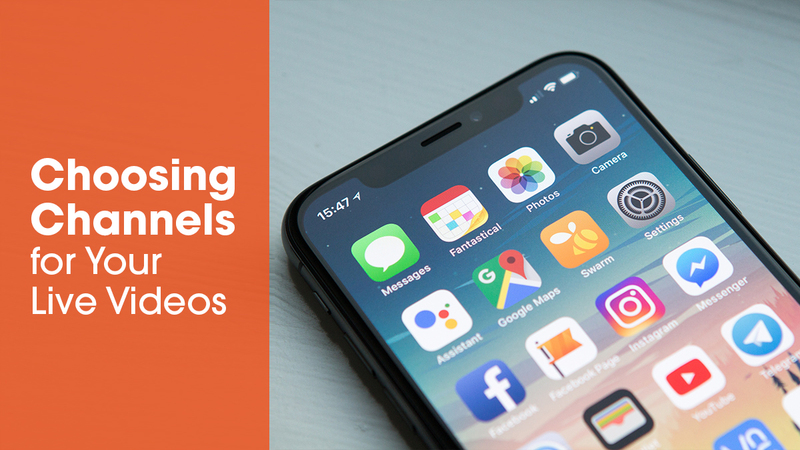 There are many live video platforms on the market today. Facebook Live. YouTube. Periscope. Twitch. YouNow. It can be hard to decide where to stream to and why. I get asked the question "Can I bring a video call into Switcher?" a lot. Good news, this is indeed possible in Switcher Studio Pro. 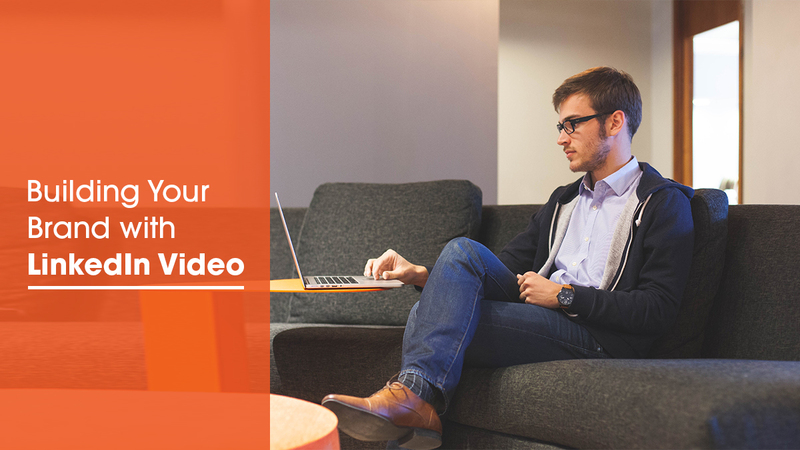 Almost any service that allows you to make a video call over the internet will work with Switcher Studio. Below are some links to tutorials and other information to help you get started. Is your iCloud account full, and you want to add videos to your camera roll? Below are a few ways to help get that video off your computer or other devices and onto your Camera Roll. 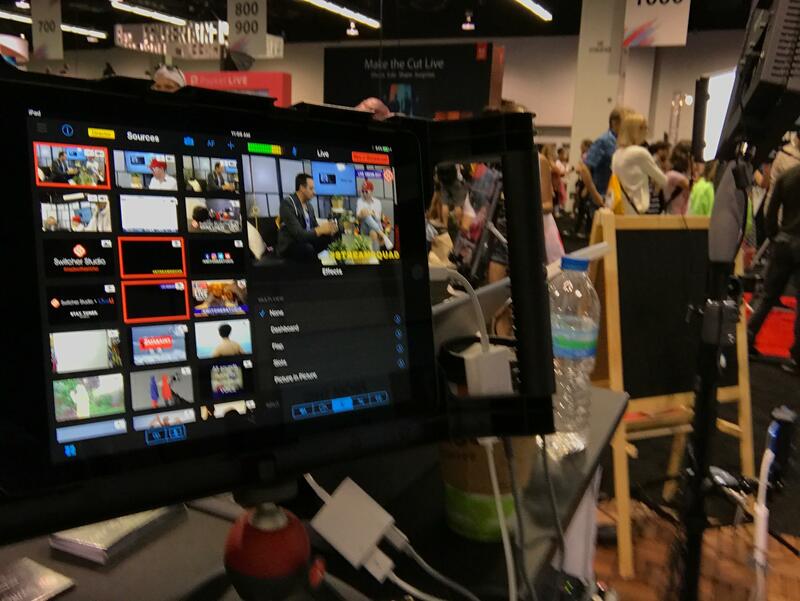 Periscope Producer makes it possible to use Periscope along side Switcher Studio. This will allow you to move beyond the one camera associated with Periscope and still remain mobile while broadcasting . 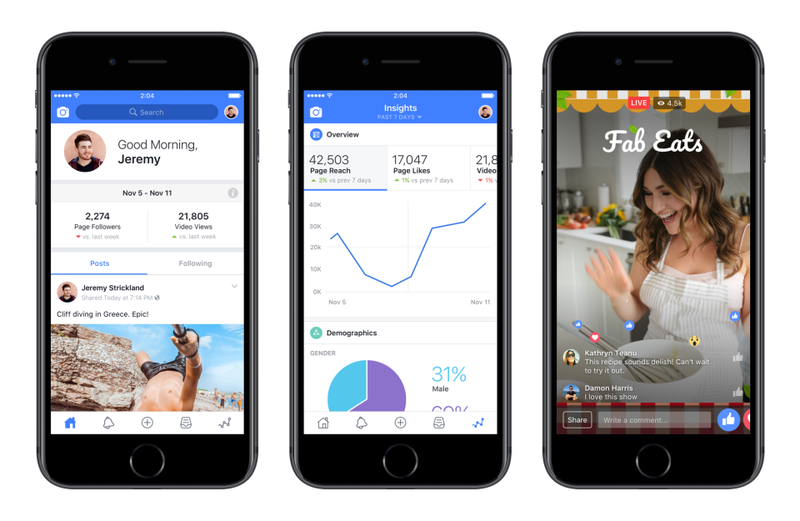 Scheduling your event on Facebook Live is an amazing feature. 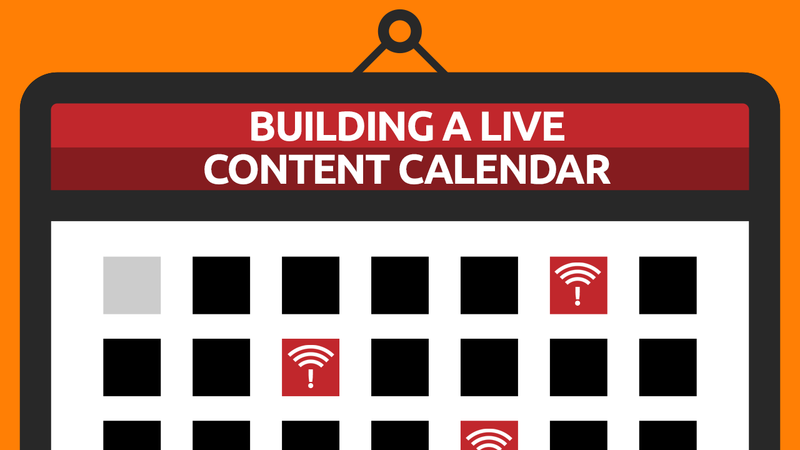 Using the scheduling function allows followers to know in advance when you plan to go live. Your followers can also subscribe to get notifications and get a reminder for when you will be live. 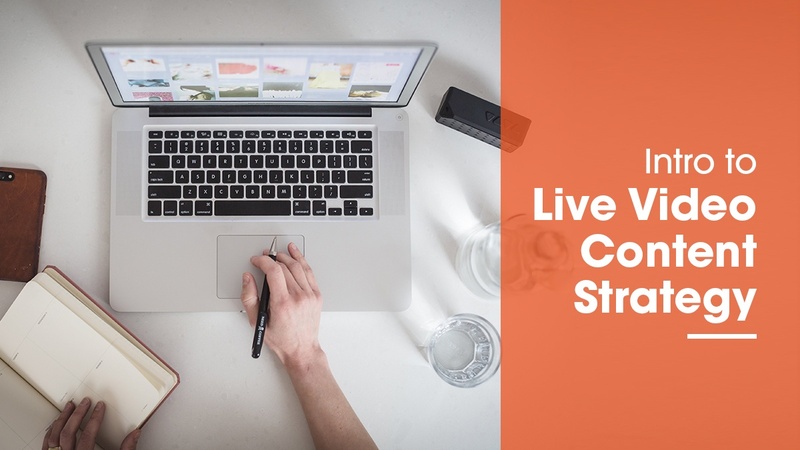 Every day, people stream live to their Personal Profiles and Business Pages. 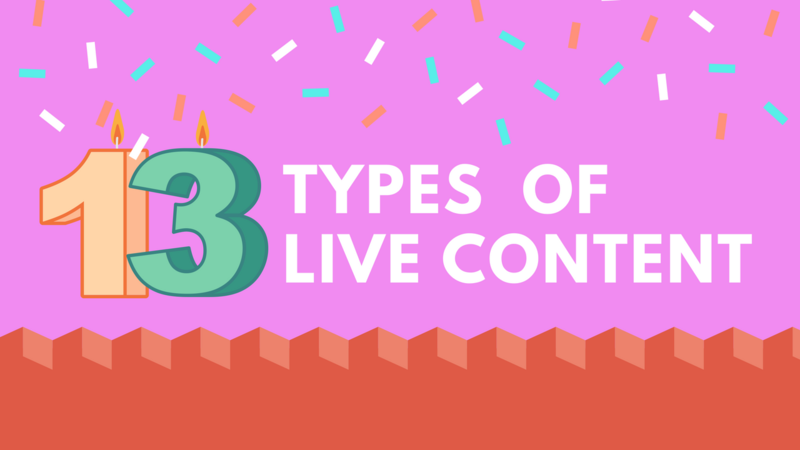 While there are older options like YouTube and Twitch, Facebook Live is now a common place for live video. 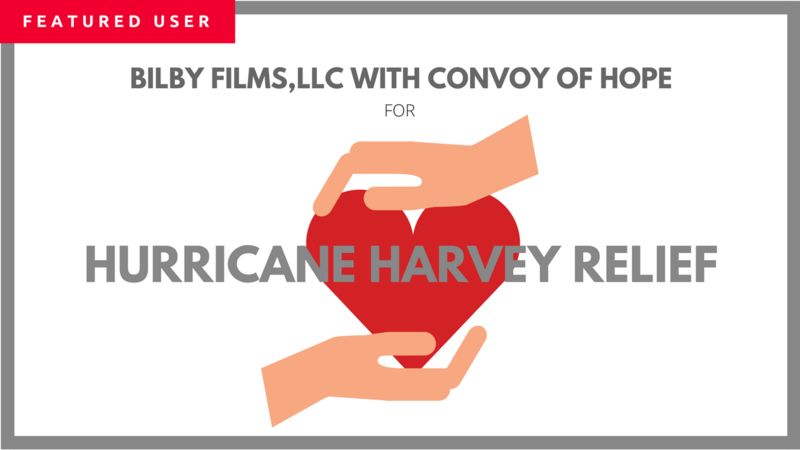 These live broadcasts are easy to set up and are easy for friends and fans alike to view. But what if you only want to stream to a few people, rather than to all of your Facebook friends? What if you are doing specialized broadcasts for a fitness group or a book club that's not for public view? Most Facebook users have seen a Facebook Event before. Sometimes, it's an invite to a family reunion by a beloved relative. Or it might be a reminder of the local rock band's next performance in your town's arena. Other times, it's as simple as an RSVP for your best friend's birthday party. As such, Facebook Events are one of the best ways to organize large groups of people together! When broadcasting on Facebook Live, comments will pour in from viewers. Some viewers will simply greet you with a comment. Other viewers may ask questions about your services or products. 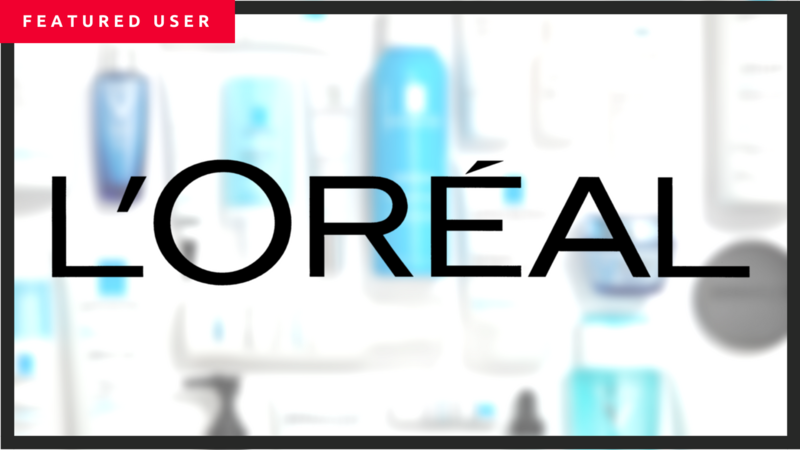 More savvy viewers will also offer suggestions for new product and service upgrades. 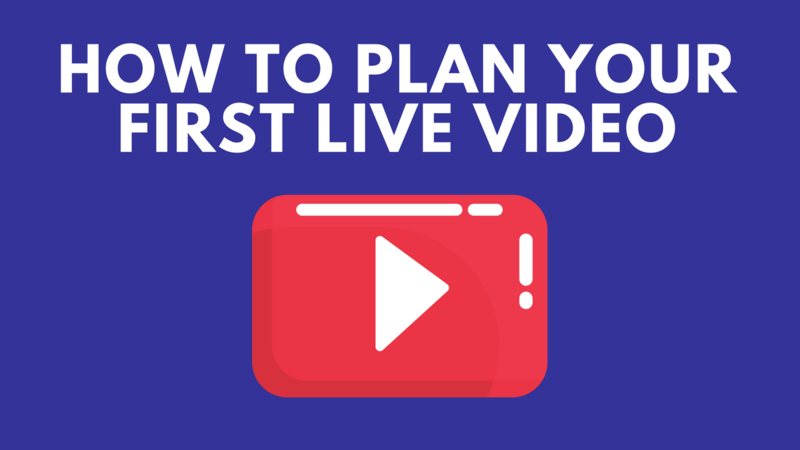 Live video has become crucial to businesses, entertainers, and laymen alike, with social media networks pushing the idea that “going live” is both the best way to get your ideas across and the best way to interact with your audience. 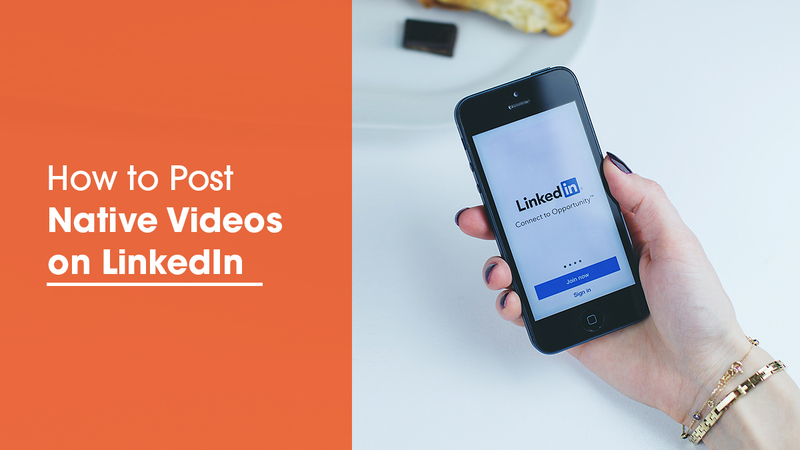 Facebook has Facebook Live, YouTube has YouTube Now, and sites solely dedicated to streaming such Periscope and Twitch have become huge contenders in how people obtain videos. 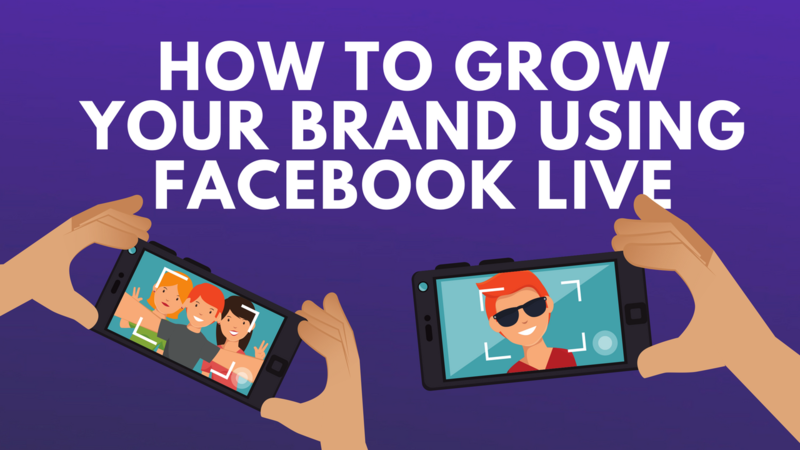 The quickest way to increase production value of your Facebook Live broadcasts is through using graphics. 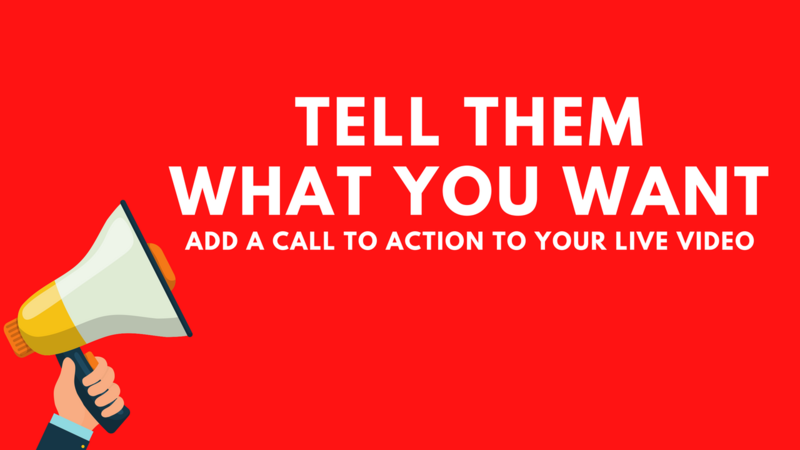 Adding graphics will allow you engage your audience in ways not possible before. The 2017 National Association of Broadcasters Show featured leading industry professionals highlighting the latest advances in streaming, engineering and content creation. Switcher Studio travelled to Las Vegas to exhibit at the show from April 22-27, 2017. Here's a selection of Switcher Studio news from the event. 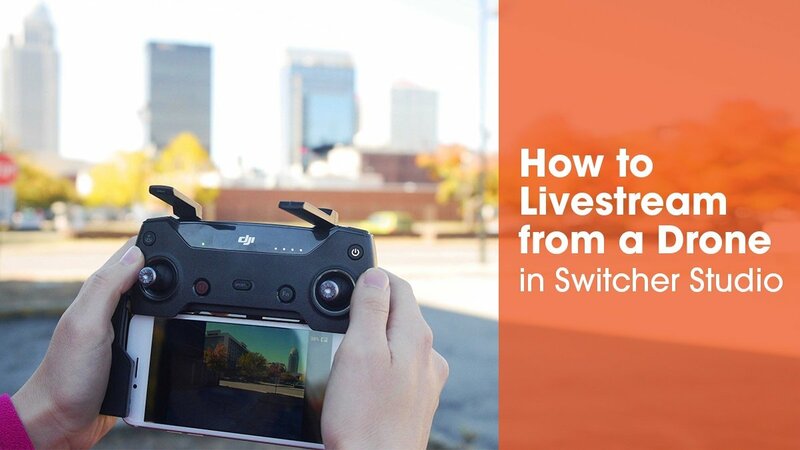 Switcher Inc. (www.switcherstudio.com) today announced it is expanding its live streaming ecosystem with a new strategic partnership with DJI. As a result of this partnership, Switcher is extending support for the DJI Osmo Mobile 3-axis gimbal system for smooth live streaming to Facebook Live and YouTube. 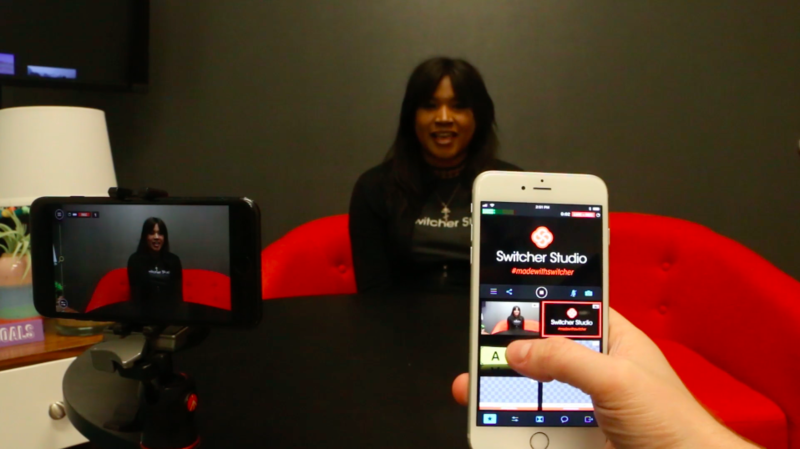 When setting up Switcher Studio there is one step you must take before launching the app each time. You must go into your general iOS settings and connect each device to the same WiFi Network. This allows each of your devices to see one another when you open the app so they can wirelessly sync to the main device. Arguably the most reliable way to use Switcher Studio when streaming live video is to hardwire your devices all to the same local network via ethernet. This is now possible on some newer iOS devices using a few adapters. We recently had the opportunity to stream day 2 of Summit.Live’s event in Los Angeles using this method. The event was held at the Millennium Biltmore Hotel in downtown Los Angeles. To many people, livestreaming is a hobby. Or it’s “that new fad” that people are obsessed with on Facebook. 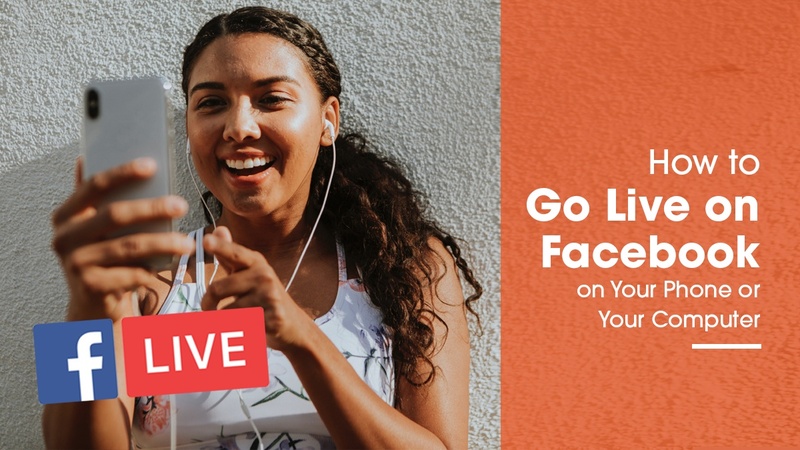 Whether on Facebook, YouTube, Periscope, or more, live video has been everywhere for the past few years, and it is being used for virtually all reasons. Want to see how a friend’s vacation is going? They might be streaming it. Bored in an airport waiting on your flight? Boot up your phone and share your boredom with friends and family. 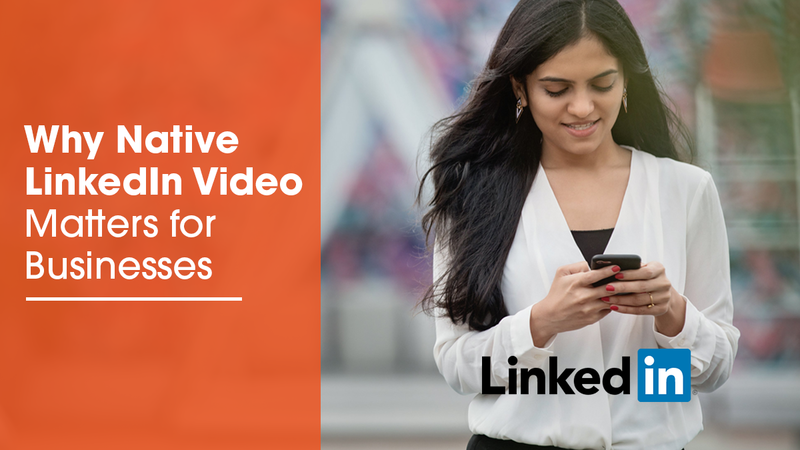 Live video is definitely making social media easy. With the hustle and bustle of daily life, it is important to really take some time to yourself. Focus on the simpler things. Meditate. Push away your worries for just a little bit in order to gain some real peace of mind. These few minutes a day can really help to recharge your internal “battery” and to help you focus properly on what is needed to get through the rest of the day. For many people, this relief comes from nature. The simplicity of nature is a direct contrast from what we normally experience in day-to-day life, and that peacefulness and serenity can help one's mind to get its bearings back on track. 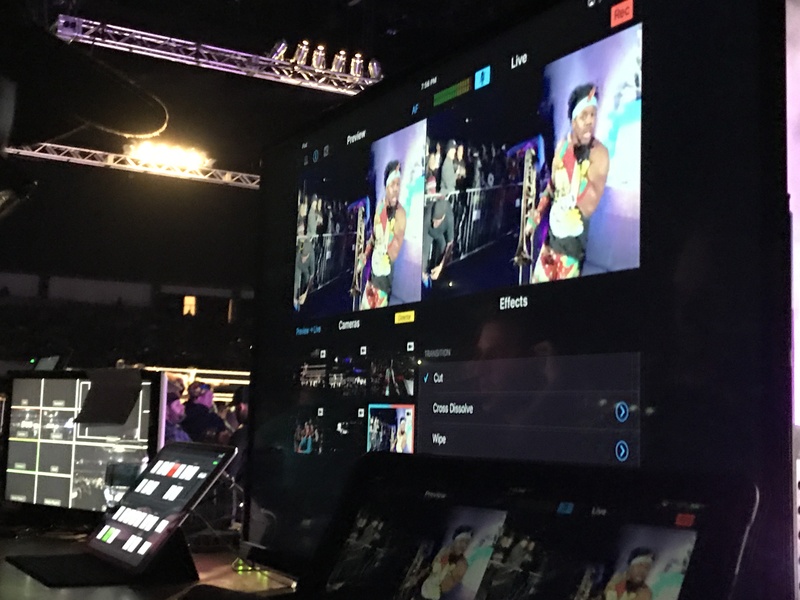 Our flagship product, Switcher Studio, allows users to create TV style multi-camera productions using iPhones and iPads. 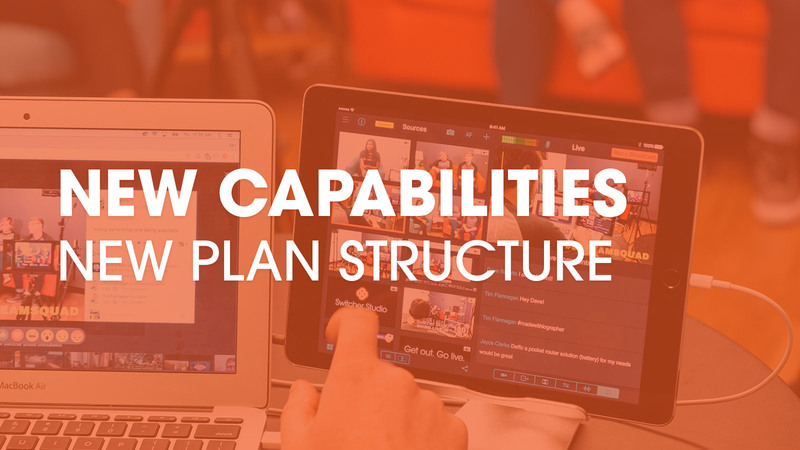 With Switcher Studio we see most of the use cases center around events like athletics, meetings, interviews, worship, concerts, workshops, training, education, etc. When picking a musician to headline your event, you want someone who is adaptable. Instead of someone who will play the same repertoire of songs regardless of the situation, you need someone who can take both the mood of the room and the theme of the event into account and choose their songs and style of music based on that. For anyone Down Under, we have just the musician for you. After touring throughout the South Pacific for quite sometime, Andy Mammers has now settled down in his native Australia, and plays for many weddings, clubs, and other events each and every month. Proudly endorsed by products manufacturer D’Addario and audio solutions specialists KV2 Audio, Mammers is a musician who shows no signs of slowing down anytime soon! Morning announcements. The majority of people can remember being subjected to their school’s morning announcements from kindergarten through their high school graduation. Normally, the events of the day were quickly rattled off, often with little to no focus from students, teachers, and other staff alike. They were simply there, and anything important would be repeated during the afternoon announcements before students were released for the day. Most people find it important to have a sense of community in their neighbourhoods. It helps to keep everyone “in the loop” with the happenings around them. From yard sales to vandalism reports to construction updates, most towns will have routine meetings where all members of the community can show up to learn the Who-What-Where-When-Why-How of their surroundings. But what about the people who can’t make it to those meetings, whether as a result of their jobs, their families, or their travels? Shouldn’t they get the same opportunity to see what all happens in their community meetings rather than a condensed newsletter days later? This update stomps out bugs and improves quality for older devices. 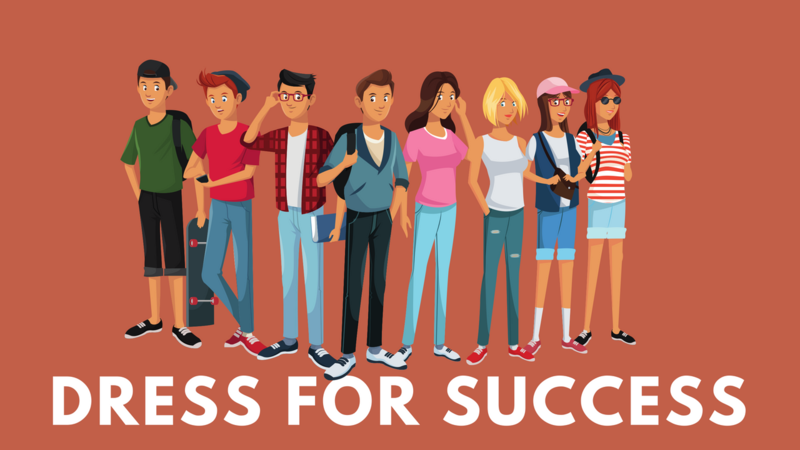 A complaint that many students across all majors have is that courses sometimes seem to have no real-world application to them. Or that there is no way to test their knowledge of real-world applications, leaving their lessons to seem far-fetched or imaginary. 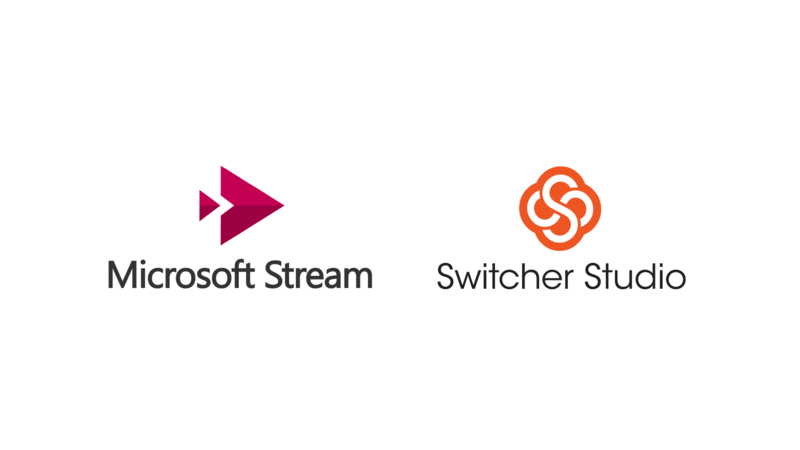 Switcher Studio (www.switcherstudio.com) announced it has partnered with BoxCast (www.boxcast.com) to bring professional streaming solutions to organizations that require higher video production value and more sophisticated live delivery capabilities than are currently available on the market today from free streaming services and solutions. 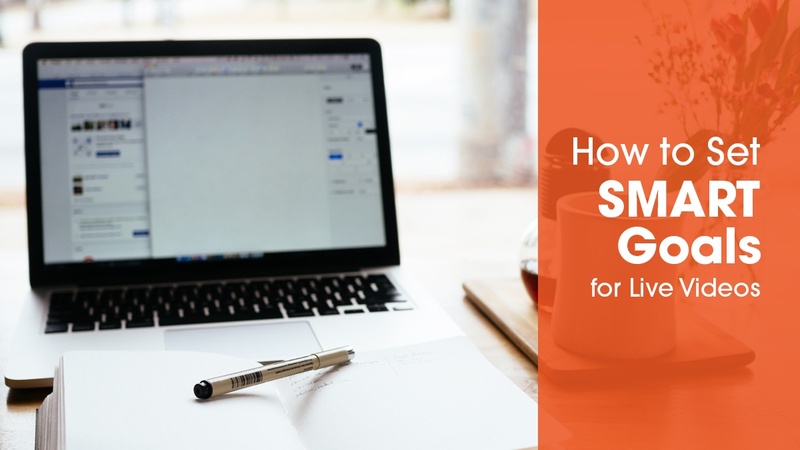 Most people could stand to make a few extra bucks these days, but few people can find a good, consistent way to do that. 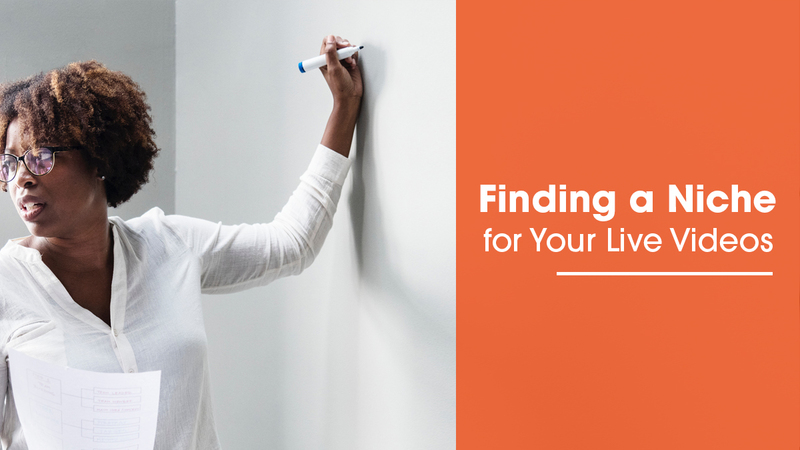 From selling old products on eBay to subscribing to commission-based companies like Beachbody and Younique, there are a variety of options available to try your hand in a new business. More and more options like this are quickly gaining in popularity, but some people are still looking for a more “traditional” means to gain additional income. Everyone has heard of the great successes that can come from the stock market. Hollywood Films like Wolf Of Wall Street, Boiler Room, and Capitalism: A Love Story showcase the pros and cons of trying their luck at choosing stocks. Middle school and high school students are often given a crash course on how stocks work. 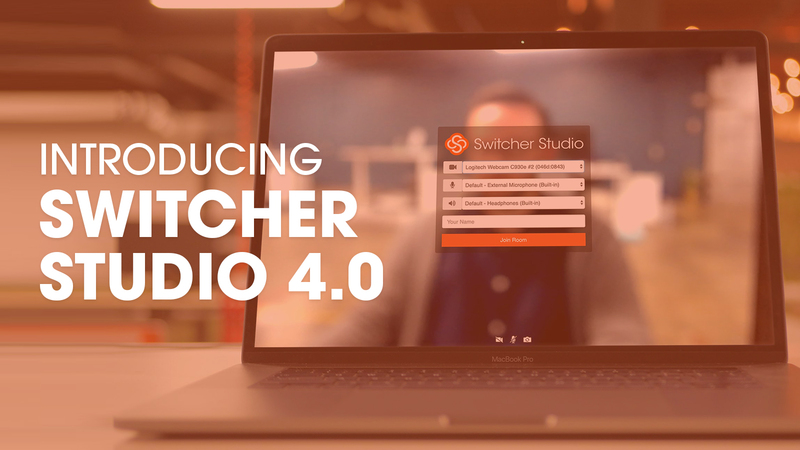 LOUISVILLE, KY (September 22, 2016) – Switcher Studio today announced it has secured $400,000 in strategic investment. Investors include Poplar Ventures, Kentucky Enterprise Fund, Cherub Fund, Sequel Fund, NexStreaming, Pioneer Ventures, and Ed Henson (member of NAB board of directors). This investment represents Switcher Inc’s first round of funding; the Company will be closing on additional investments in early 2017. 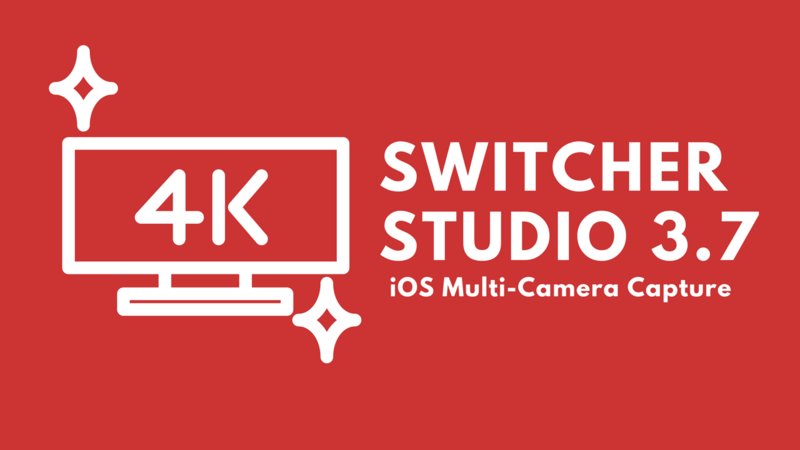 The team at Switcher Studio has been receiving a lot of great feedback and questions on the newest release of Switcher, featuring Director Mode and support for Final Cut Pro X. Thanks for sharing the love! 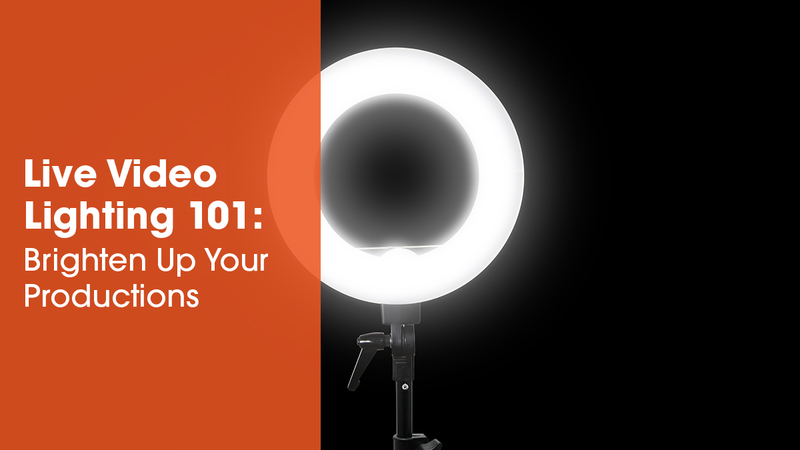 Here are some basic lenses that can make a big difference in your video productions. Here are a few audio devices that we have found helpful in creating multi camera video productions with iPhones and iPads. When starting out as a musician, you have a lot of things to juggle. Where do you go for recording? What about music videos? Concert footage? Photographs? Marketing? Tours? It can all quickly become overwhelming during what should be an exciting time. If you are lucky, you may find a recording studio that can handle a lot of this for you. Not only will they record your music for you to distribute, but they may also include photography services, marketing services, and the like. When going this route, you want to make sure you find a reputable studio who can produce a high-quality product that you are proud to show off, and who won’t drive your band into obscurity or embarrassment. Musik Factory’s Chiodo Studio is one of these establishments. Located in beautiful Magenta, Italy, Chiodo Studio is an independent studio that provides recording services, venue scheduling, live recording, and basic photography all in one nifty place, and company founder Alex Chiodini is looking to expand his clientele even further with the addition of Switcher Studio. When the audio and video get out of sync, it is often referred to as lip flap or a lip sync issue. This is a common problem when importing iOS video into video-editing software because mobile devices don’t record at a constant frame rate. 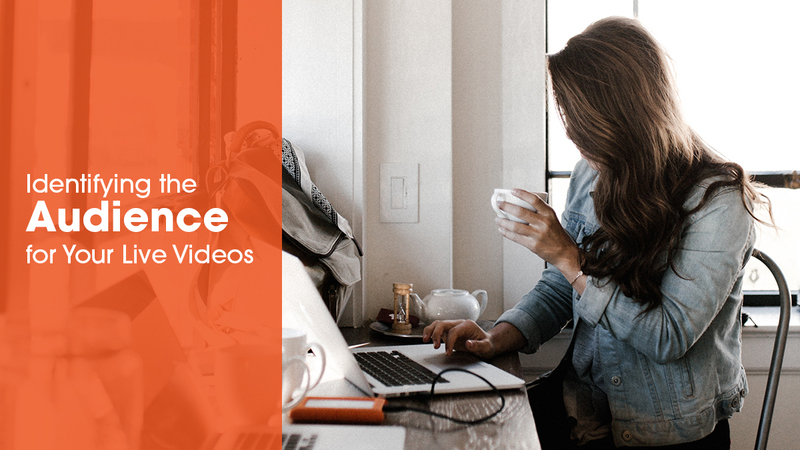 As a result, when you try to edit mobile video footage in the timeline on a post-production program like Avid or Adobe Premiere, it may not handle these elements properly. The strange thing is that the video will often play OK when watching individual clips in QuickTime, VLC, or Window Media Player. But what good is your video if you can’t edit it, or when you do and it ends up looking like a kung fu movie? There is a solution! Never streamed before? You've come to the right place. It’s an exciting day here at Switcher Studio. 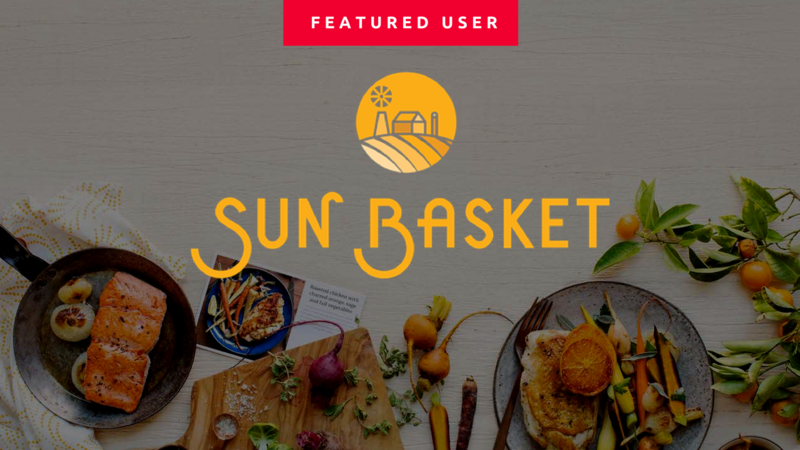 Since we first launched over a year ago, we’ve been gaining some amazing traction - thanks to customers like you and the amazing feedback you’ve been sharing with us. So what’s got us so excited? 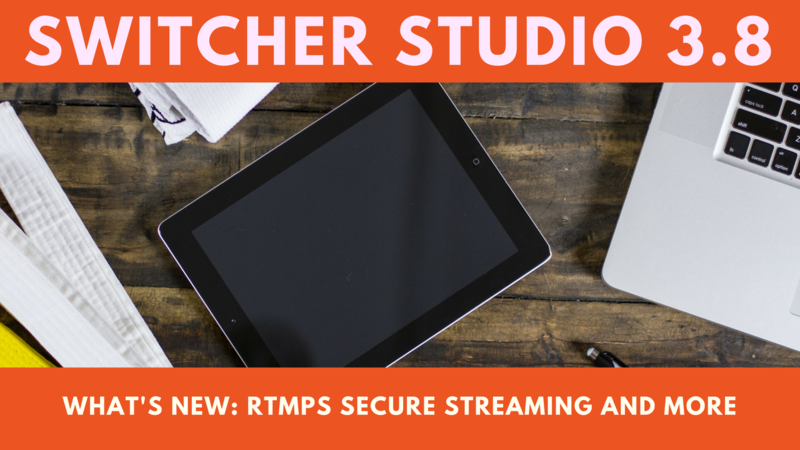 We get to share with you an incredible new upgrade to Switcher Studio, featuring live streaming directly to YouTube! 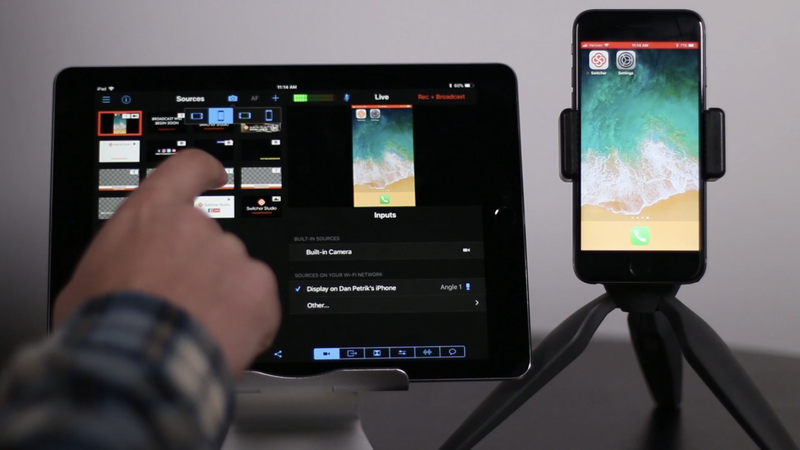 No more bouncing back and forth between your computer and Switcher - do it all in the app. 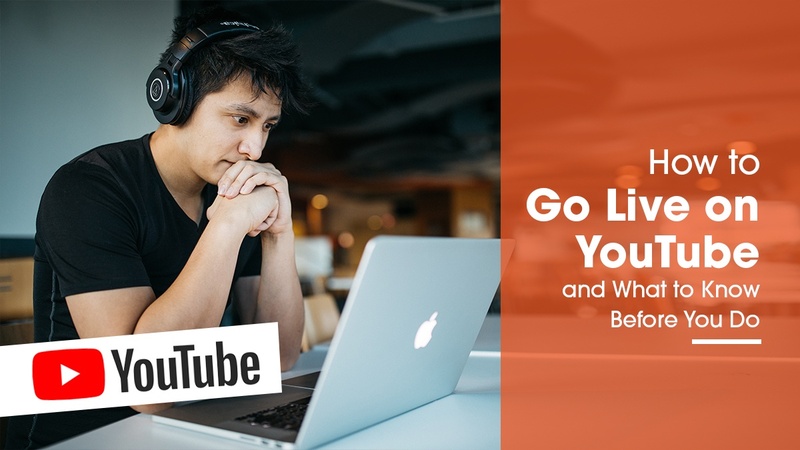 Streaming with YouTube has never been easier. The first step to improving any video production is using a tripod. This allows you to get steady, stable shots that are inline with what your audience is accustomed to seeing on TV. There are a number of mobile media cases for iPhone and iPad that make it easy for you to attach your iDevice to a tripod. 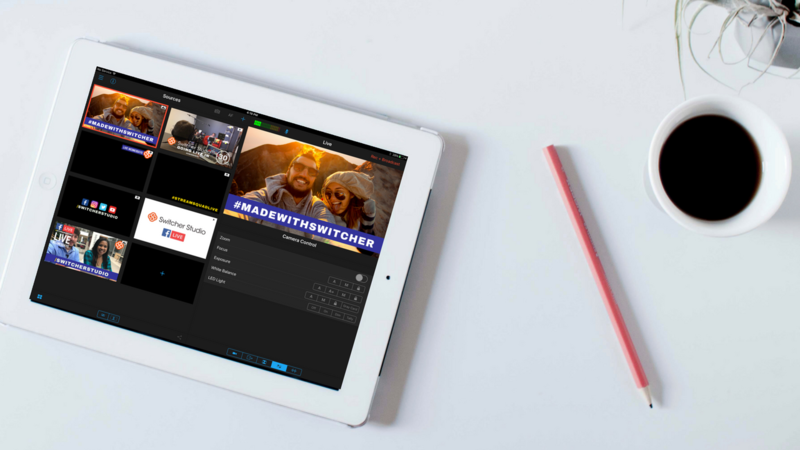 Switcher Studio® has been pushing the boundaries of creating video with iOS since its launch. Now the app is even more powerful with the addition of “Director Mode”. This update allows users to assign fixed frame rates, record 1080p HD broadcast quality video from multiple angles using mobile devices and export compositions to Final Cut Pro X. Yes, it’s good enough for TV and there are already stations using it for on-air content. 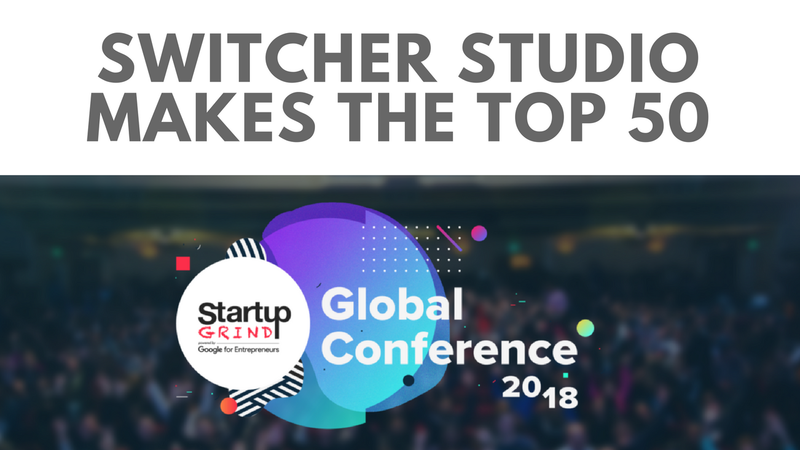 Nick Mattingly, CEO and co-founder of Louisville startup Switcher Studio, is presenting at TechCrunch Disrupt in San Francisco (Sept 21-23 2015) . TechCrunch is one of the largest online technology blogs that profiles startups, Internet products and new tech (TechCrunch is owned by AOL). TechCrunch Disrupt is a showcase of some of the most innovative companies and products in the startup scene hosted by the online news source.